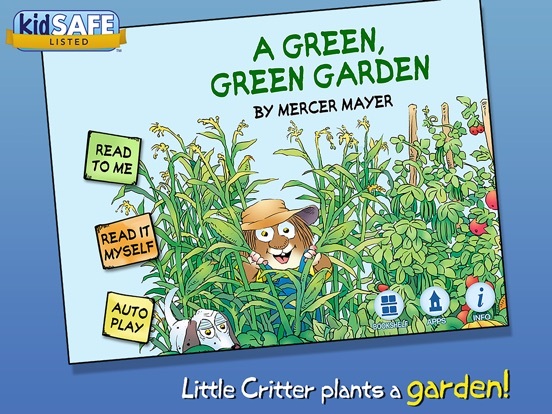 A Green, Green Garden-Little Critter is another great storybook app by Oceanhouse Media that teaches children a bit about how to grow a garden as they practice their readings skills. 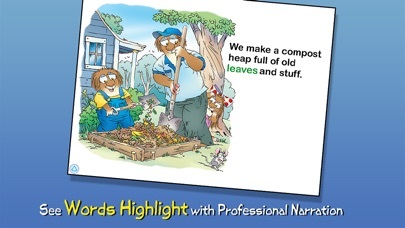 With cute illustrations and an in story activity, this app is both educational and entertaining. Oceanhouse Media always does a fantastic job with their storybook apps making them both professional and fun for children and this app is no different. 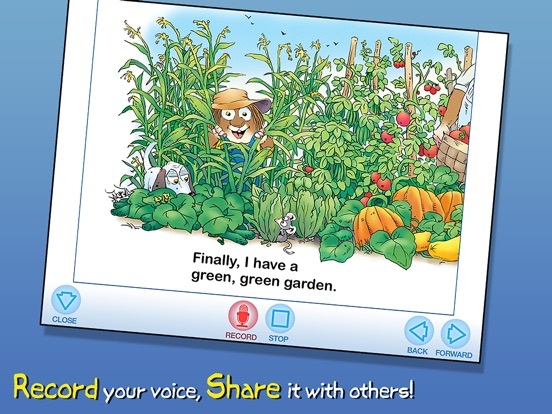 With an easy to use interface that allows children to read with or without the narrator, and an auto play option, this high quality app is great for readers of all ages. 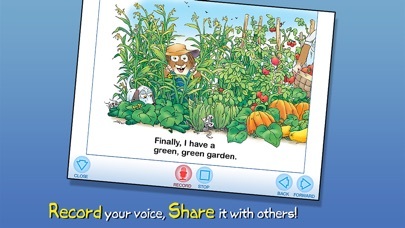 In addition to learning a bit about gardening and how healthy gardens grow, little readers have the opportunity to work on their reading skills as they follow along. 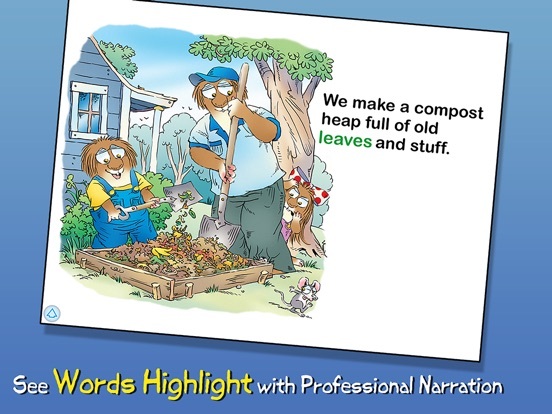 The text-highlighting and narration options allow early readers to follow along and learn new words as they go. 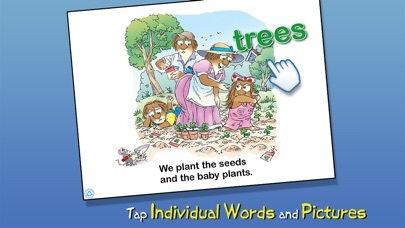 There is also an opportunity to learn new vocabulary words by tapping & touching the illustrations as they read. 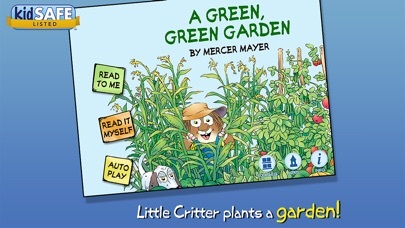 A Green, Green Garden-Little Critter is a cute story that children will love as they learn about how a garden grows. In addition to story, the developers have included an in story search and find activity that will help to keep children engaged as they read. Currently priced at under a dollar this app is a steal! 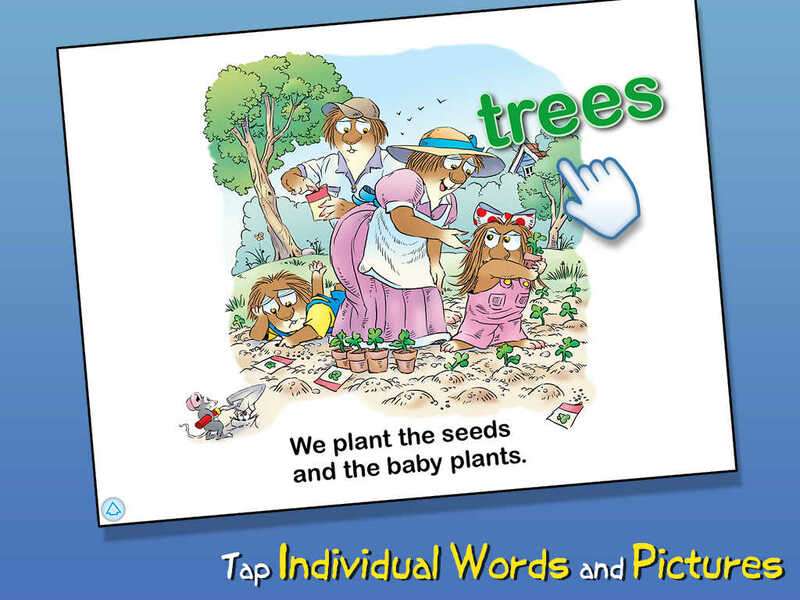 With so many educational components that help children practice their reading skills while learning new vocabulary words and the narration options included this app is a great deal. Parents don’t want to miss out on this great app at such a wonderful price. Oceanhouse Media always does a great job making sure their apps are easy to use and safe too. While there are some parent only areas including an ‘other app’ button and an information tab, the buttons are protected. Parents can also rest assured knowing there are no social media links that children can get into, so little ones can read on their own without too much worry. With that said, there is a rating pop-up option that appears at the end of the story that while protected it is distracting and is an option that is better suited for the parents area. Making this simple change would certainly enhance the child-friendliness value of the app overall.